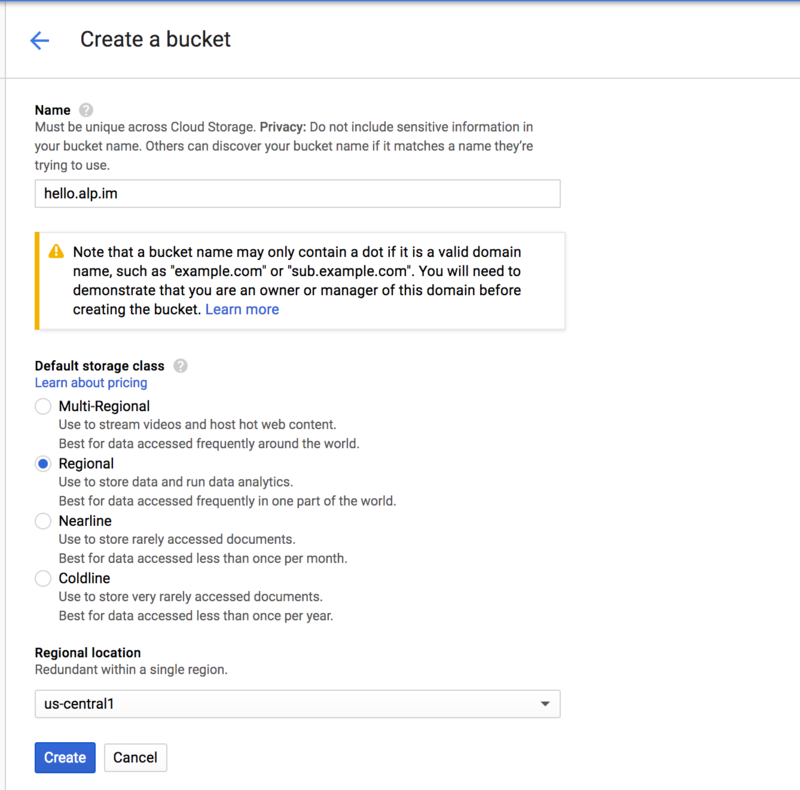 This tutorial shows how to automate publishing a static HTML website using a custom domain name to Google Cloud Storage using Google Cloud Build. Automatically publish changes to your static website from the source control repository. Make sure you have a custom domain name (e.g. example.com). Make sure the source code for your static website is hosted on a GitHub or BitBucket repository. Make sure you have a Project on the Google Cloud Platform (GCP) Console to host your website. Now, configure your domain name’s DNS records to create a CNAME record that points to Cloud Storage. 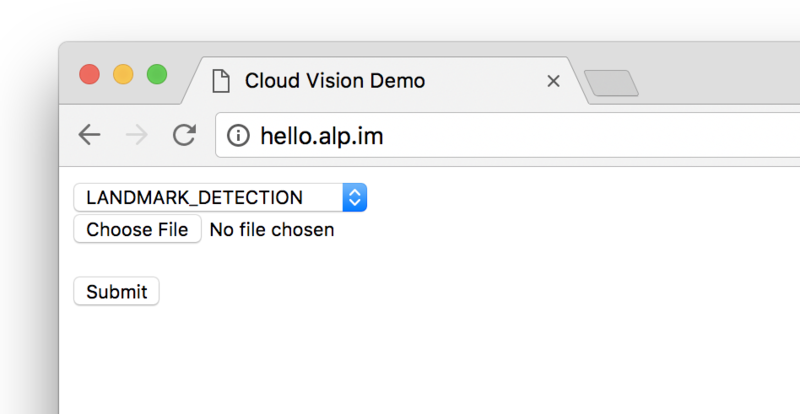 This makes clients requesting your website point to Cloud Storage APIs. 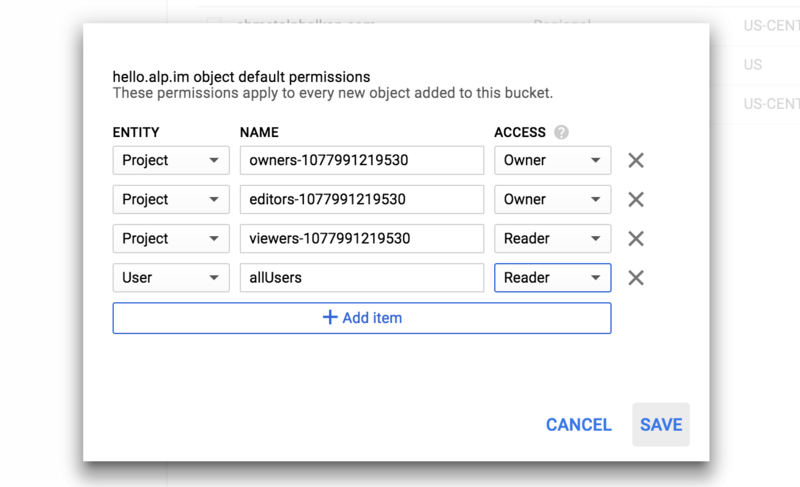 You will use Cloud Build and the Build Triggers feature to upload your website automatically every time you push a new git commit to the source repository. > Note: If you do not have a repository on GitHub, you can fork this sample > repository for the purposes of this tutorial. Then select GitHub as the source of your repository. In the next screen, you may be asked to authorize access to your GitHub account and repositories. This is needed for Google Cloud Source Repositories to mirror and create commit hooks on your GitHub repositories. This YAML file declares a build step with the gsutil -m rsync command and makes sure that the website is uploaded to the storage bucket. The -m flag accelerates upload by processing multiple files in parallel and the -c flag avoids re-uploading unchanged files. If you are using the sample repository, you should upload the ./vision/explore-api/ directory. If you would like to upload your entire repository to the storage bucket, make sure to change this value to . in the YAML file. The last command in the args is the name of your storage bucket prefixed with gs://. Be sure to change this argument to the correct value. Once you push the cloudbuild.yaml file to your repository and create the Build Trigger, you can kick off the first build manually. 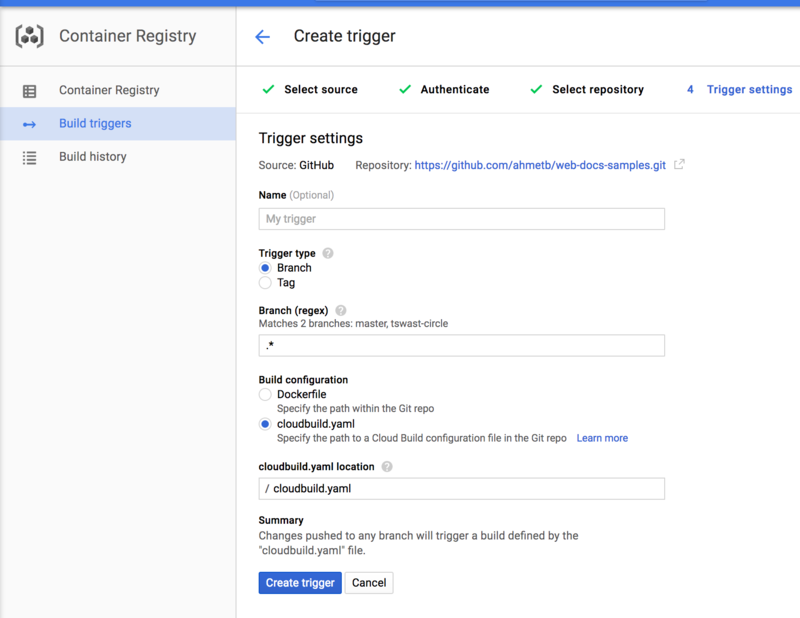 Head over to the GCP Console Build Triggers section, click “Run Trigger”, and choose the branch (i.e. master) to build. Remember that after now, every commit pushed to any branch of your GitHub repository will trigger a new build and publish contents to your website. If you need to change which git branches or tags you use for publishing, you can update the Build Trigger configuration.